I’ve been looking forward to showcasing this brand since I started using the skin care line a couple of months back. 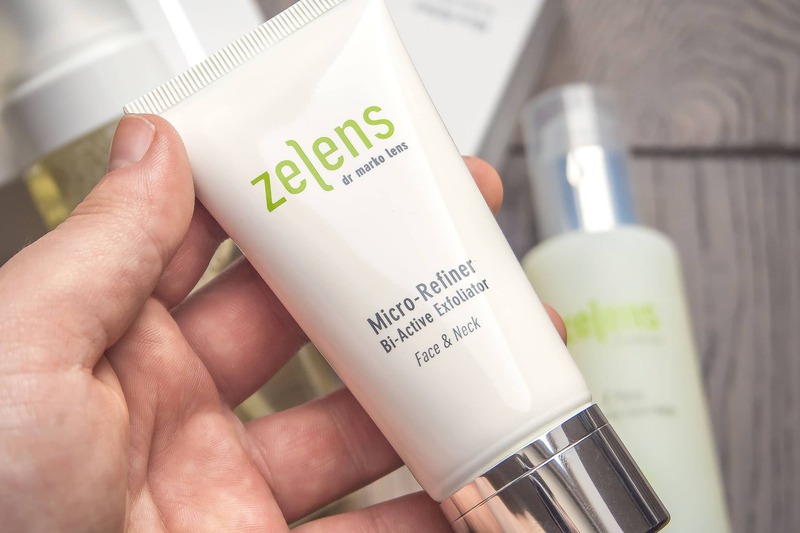 Zelens skin care, created by Dr. Marko Lens MD MSc DPhil (Oxon) FRCS with a specialism in Plastic and reconstructive surgery, has achieved critical acclaim and over the last couple of years just seems to have snowballed featuring in every glossy magazine and lining the shelves of every major boutique going. Using active biotechnology ingredients through over 20 years of researching the skin, Dr. Lens has created a line of skin care products that delivers immediate comfort, long term results and a lasting balance of healthy skin function – the holy trinity of skin care really. I’ve been using 4 of the brand’s best-selling products over the last couple of months and I’m pleased to report back with my findings. 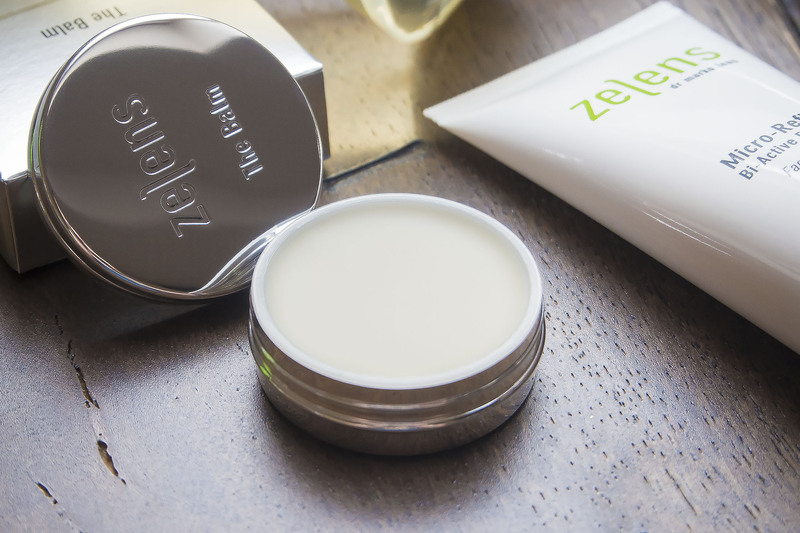 All of the skin care mentioned can be found here on the Zelens website/online shop. I thought I’d get this out of the way now. I’m not personally raving about the balm. There’s absolutely nothing wrong with it however suffering from very, very dry and chapped lips, I need something just a little thicker that sits whereas this delivers its moisture and for me just disappears. However, if you don’t suffer with lips as dry as mine, then this is definitely worth a look with 13 active ingredients – pretty unheard of for a lip balm. There’s a hydrating lypid complex; chemical exfoliating retinol ester; rice bran oil; hyaluronic acid (one of my favourite moisturisers); calming and antioxidant Japanese shiso leaf; Vitamin E; sunflower seed extract; vegetable butters and beeswax. I’ve never really done much deep cleansing or pre-cleansing before. It’s one of those things I’ve always dismissed because I’m lazy. When you spend all day writing about skin care and testing things out, the last thing you want to do most often is use it! But this has really changed my attitude to a precleanse and forced my hand at stepping up my game. If you’ve been out to the gym or wear even the slightest bit of powder or cover up then this is your ticket. To put it bluntly, it’s great at really loosening the crap from your skin and is also perfect if you’re dry and/or sensitive, particularly to foaming/gel washes. I use this maybe once a week and then as/when needed in between. It’s a beautiful rich gel texture and your skin afterwards feels fab. Apply a small amount of it onto slightly damp or preferably dry skin; massage in circular motions and then thoroughly rinse off. Pat your skin dry and moisturise. My guilty pleasure is a really powerful face scrub like Clinique’s Face Scrub for Men but using such harsh scrubs on the face isn’t the best for skin health and I know this, that’s why I don’t feature the above product and why I always recommend gentle chemical exfoliation. The problem is you don’t get that same feeling of exfoliation from these products. This is where Micro-Refiner Bi-Active Exfoliator is different. Using tiny, almost imperceptible beads sitting in a base of skin sloughing enzyme, this gives you the feeling of a really invigorating facial scrub without feeling like your face has been ripped raw. Quite the opposite in fact; apart from feeling smoother, your skin feels just as hydrated and comfortable as it was before. I find this works best on dry or slightly damp skin so often use it before getting in the shower and just splashing some water on my face beforehand. The trick here is not to think “well this is doing absolutely nothing” and then start massaging it in like a crazy person – trust me, you will only do this once! This is powerful stuff and I LOVE it. Saving the best until last. I am already on my second bottle of this and it has become ‘the’ facial cleanser I’m using and sad to say after so many years, replacing La Mer’s Cleansing Gel as my go-to facial cleanser. Why? Because with Zelens Clarifying Foaming Cleanser, my skin feels as hydrated as it did before cleansing, minus all the gunk or sleep-sweat on your skin. With most cleansers, I find I have to almost run from the bathroom to grab my moisturiser before my skin starts to dehydrate, causing everything applied to just sit on the surface only moments after cleansing. No, this is very, very different. It follows the same delivery principle as all foaming face washes in that it’s a very light, watery liquid and is then foamed up by the pump bottle (MUJI do travel foaming bottles if you ever need one by the way). The foam that comes out feels like silk with almost the richness of shaving foam (but without the horrific, butane/propellant laced ingredients). Unlike many others I’ve used, it gives you time to work into the skin and doesn’t immediately revert back to a liquid (I don’t think it does at all come to think of it). Then when you rinse it off your skin feels moisturised and ultra-soft. For blemish-prone, normal-oily skin, this is your ticket. Aqua (Water), Sodium Lauroyl Methyl Isethionate, Cocamidopropyl Betaine, Lactobacillus/Pumpkin Fruit Ferment Filtrate, Perilla Frutescens Leaf Extract, Tartaric Acid, Citric Acid, Citrus Limon (Lemon) Fruit Extract, Hydrolyzed Grape Fruit, Pyrus Malus (Apple) Fruit Extract, Hydrolyzed Wheat Bran, Biosaccharide Gum-1, Glycerin, Sodium Benzoate, Potassium Sorbate, Phenoxyethanol, PPG-26-Buteth-26, PEG-40 Hydrogenated Castor Oil, Ethylhexylglycerin, Sodium Dehydroacetate, Parfum (Fragrance). This article first appeared on MANFACE written by Thom Watson. It was published on Tuesday 19th April 2016 and was last updated on Monday 3rd April 2017 at 1:04pm. It's categorised under Cleanse, Combination Skin, Exfoliate, Lip Care, Oily Skin, Zelens where you'll find more related content.